Ardbeg Distillery is planning a new (pricey?) release with an age statement called Ardbeg Traigh Bhan. It is a small batch 19-year-old single malt matured in American oak and oloroso sherry casks. 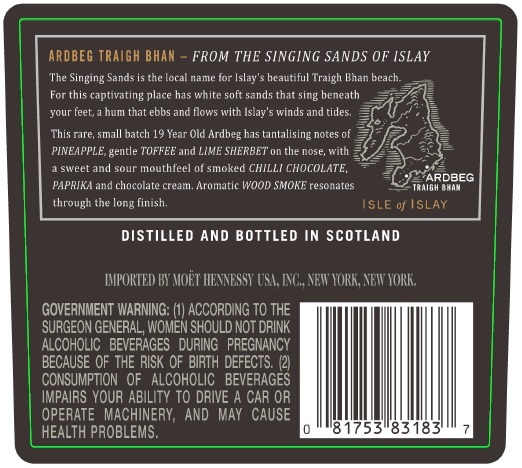 The whisky is named after Traigh Bhan beach, also known as the Singing Sands of Islay. The Singing Sands is the local name for Islay's beautiful Traigh Bhan beach. For this captivating place has white soft sands that sing beneath your feet, a hum that ebbs and flows with Islay's winds and tides. 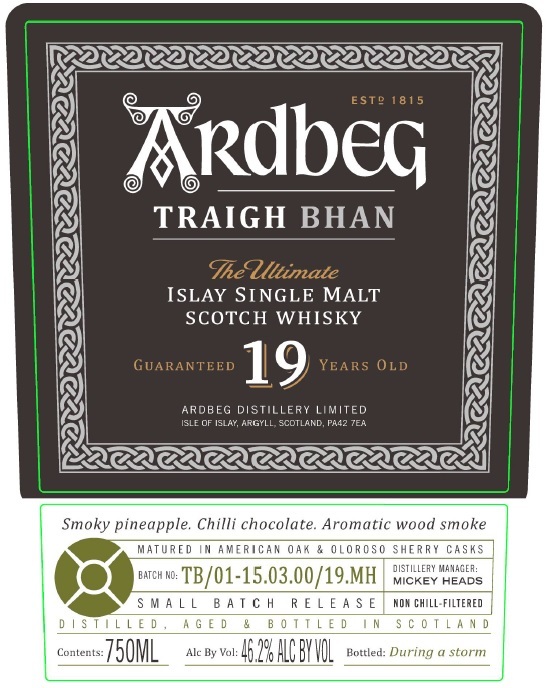 This rare, small batch 19 Year Old Ardbeg has tantalising notes of PINEAPPLE, gentle TOFFEE and LIME SHERBET on the nose, with a sweet and sour mouthfeel of smoked CHILLI CHOCOLATE, PAPRIKA and chocolate cream. Aromatic WOOD SMOKE resonates through the long finish.